Edit design Knit sweater with pattern , or create your design from scratch. Custom knitted sweater with pattern or design of your choice. 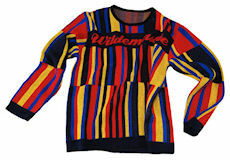 Knit in sweater design from the first custom sweater maker. Design online, add custom text, name, logo and photo. Nice to wear and give as awesome present.